A great, GREAT winter workout! Oh, my, oh MY! As I sit here writing this to you, I’m soaked in sweat from my workout (one part of it, at any rate). My heart BE thumping, my friend! My lungs BE pounding – along with my heart, of course, and my legs feel like they’ve been heavily worked to the core – and it wouldn’t be a stretch to say that I “tottered slightly” at the end of this INTENSE AS HECK – and yet brief workout. ‘Tis winter outside in my neck of the woods “here” (pardon the Southern expressions, hehe) – and it probably is for a lot of you reading this. And winter of course comes with the associated “baggage” of laziness and excuses, especially when it comes to fitness, my friend. You know the feeling, don’t you, my friend? And so forth – and while all of those may keep the cold at bay, they ain’t gonna move along towards the fitness goals you HAVE, my friend – especially NOT the last option I just mentioned. But guess what – you CAN – I repeat – CAN get a great great workout in – WITHOUT putting one foot outdoors! And it’s so ridiculously simple that it can be done in your living room – or your bedroom, if you so choose – and if you do it right, and the way I teach in the 0 Excuses Fitness course, well then it need take NO longer than 15-20 minutes tops. That’s right – 15-20 minutes, and you’ll be BUZZING the whole day long. Well – simple – just pound out 500 Hindu squats at the right cadence – and you’ll see what I mean! My oh my. It’s been over 2 or 3 minutes since I started writing this and while my heart rate went down almost instantly, I’m still sweating up a storm, my friend! I mean, literally – I just wiped off a bead of sweat off the keyboard! How would YOU like a workout like this my friend? How would YOU like to NOT watch your gains stagnate during the winter – if anything, watch them improve – and do so by LEAPS and BOUNDS? You’d love it, wouldn’t you? Of course you would – and that is why I designed the VERY BEST exercise system on the planet, my friend. Simple, down to earth instruction that flat out WORKS – and works FAST at that. Order now, and watch the holiday pounds FLY and SIZZLE off you like “fat from a George Foreman grill”, hehe. P.S. – One of the keys that people often ignore while doing the squats is to NOT go slow. Remember – as I state repeatedly in the books and videos – these are meant to be done FAST!!! P.S. #2 – Still on the couch, curled up with a blanket ready? Well, no problem – you can get the system right from the COMFORT of your couch as well – downloadable and READY TO USE INSTANTLY after purchase! Well, that was precisely what a student of mine told me last afternoon as I was finishing up my “instruction”, hehe. We were chatting about a few topics and I don’t know how it came up, but come up it did. Up piped another student, this a “gangly” 16 year old at that. Believe me now and trust me later, I am the LAST person on the face of “God’s green Earth”, hehe, to worry about looks, dress sense or other such things. You’ll usually find me dressed in a faded T-shirt or jeans/cargo pants – and even the T-shirt I’m wearing in the picture I’ve put on the homepage is a relatively NEW T-shirt, which should tell you a lot, hehe. That’s just how I am – pretty “plain” – and yet, I constantly get the “movie star” (insert term of choice) thing thrown back at me. Anyway, that last sentence finally hit home and it STRUCK me. They weren’t necessarily referring to my face, or my “acting chops”. What they were referring to is my physical attributes – and while I’m certainly no “Andre the giant” or even a bodybuilder look alike, the fact remains that the VERY BEST exercise system on the PLANET got me – and keeps in the best shape of my life ever – and all in 30-45 minutes FLAT in my living room. Not a single pull-up. Certainly no weights. No “arm” exercises. No “leg curls”. Certainly no babes to ogle either, hehe. Nothing but me – the floor – and the WALL of my living room – and yet, it gives me results that are way, way superior to what most folks get in the gyms or even from pounding the pavement etc. How would you like these comments to be directed at you on a regular basis, my friend? “You look like a movie star”. “You’ve got an unnnatural pull in your grip”. And so forth – and while I’m not advocating “narcissism” in any way, shape or form (heaven knows I’m the exact opposite) – it sure feels nice to have your hard work “validated” right there in front of you by your very own students (and people in general at that). And guess what, my friend – YOU can get these results too! Follow the 0 Excuses way, my friend. Adopt – and FOLLOW – the 0 Excuses Fitness System – the very BEST there is on the planet – and watch your body change miraculously before your very eyes. And for those on this list that fall into the “Doubting Thomas” category – wait no longer, my friend. Dither no more – unless of course you’re in the group of people that prefer NOT to achieve said results, and in that case, I understand, my friend. But if you’re part of the growing group of 0 Excuses DOERS – well – then DO NOW, my friend. Pull out that wallet, and click on over to https://0excusesfitness.com/0excusesfitnessystem/ – and be prepared to see a whole NEW world open up to you almost instantly. P.S. #3 – And no, I could care less about putting “pretty boy” pictures on the site. That’s not me – and it never will be – but you CAN see me huffing after a tough workout in the videos as well as on the cover of the book I just mentioned above! Oh, my, my MY! Seems the “moaners” are out in full force today, hehe, and I’ll share an example of what I mean. But before I get into that – I mentioned the “world famous comment” in my e-mail title, did I not? Showl did, my friend – and while more then a few of my comments have caused controversy of various natures (both online and offline) – here is the one I’m referring to. “You’ve got an unnatural pull in your grip” (and the person who made this comment went on to say “it must be something to do with the exercise you do“). 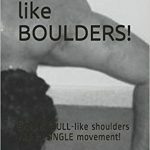 And while those comments have generated plenty of interest, I recently had the pleasure (perhaps, hehe) of reviewing a comment made by a person who recently purchased my Gorilla Grip book – a course that is going like GANGBUSTERS by the way – and a course that is highly, highly recommended along with the 0 Excuses Fitness System for those looking to develop CRUSHING levels of gripping power that will leave bystanders and those you meet ASTOUNDED. This person took the time to type out a highly detailed and “verbose” note which in itself was commendable, but was apparently upset that “the same information could be got for free elsewhere”. He also goes on to state that I provide no “proof” of my conversation with the U.S. Marine (and a great buddy of mine by the way) that made the above comment – and believe you me, friendship has nothing to do with the STRAIGHT from the HEART and unfiltered, HONEST comment he made. Now, without even meaning to get into the rest of what he wrote – first off – I didnt create my products for “el cheapo deapos” who buy a product and then feel a tinge of “buyer regret” – NOT because what I say in the book is inaccurate or doesnt work – it’s a sense of regret at having to fork out the buckeroonies to purchase a product that someone put in the time and effort to create). In fact, and curiously enough, he states that the exercises mentioned in the book DO work. And if this by itself isn’t the “proof in the pudding” of what I mentioned above, then I don’t know what is, hehe. Look, my friend, the best things in life ain’t free. That’s a fact of life, whether we care to admit it or not. Second, judging by the amount of time said reader took to write the (admittedly very well written) post – it would seem that said person falls more into the “read” category rather than the “DO” category. And I’m sorry – but simply READING a book ain’t gonna get it done, my friend. You read – and then you “get off my thy rumpola” and actually DO what the books and courses tell you to do – and it’s only then that you get any results. Information by itself is worthless unless and until it’s USED – and that brings me to my next point (and tip) – which is to USE and SPEND your time PRODUCTIVELY, my friend. Rather than write a “treatise”, this reader would probably have been better off spending time actually doing either the exercises mentioned in the book – or – even better – combining it with what I teach in the VERY BEST FITNESS SYSTEM on this planet – that being the 0 Excuses Fitness System. And that, my dear reader – is THAT! I’m off for my own workout now – back again tomorrow! P.S. – Envying success might be an easy way out, my friend. Copying it might be too – and so might “hating it”. And if you’re one of the lot that falls into the above three categories – well – no problemo, amigo! If you’re like most folks reading this, you probably had a whale of a time during Thanksgiving – as it should be, of course. Of course, this “whale of a time” involves eating – and a LOT Of eating at that, hehe. While I didnt quite stuff my gourd to the levels I sometimes end up doing during Thanksgiving I did eat a fair bit on Thursday night – but curiously enough, or maybe not so – it doesnt feel like I ate anything out of the normal at all! Contrast that with the “stuffed to the waistcoat” feeling a lot of y’all are probably experiencing right about now. That “ho hum” feeling of sinking back into the sofa after having gorged on some turkeeeeee and associated delicacies, and that feeling of “being unable to move”, or perhaps “feeling slothful to the extreme”. And if that’s you, and it might well be – well – guess what – NOT TO WORRY! Here is a modified “mini-workout” from the 0 Excuses Fitness system that won’t take long at all, my friend. (Do this in the AM if at all possible, but afternoons work well too, or evenings for that matter). Wake up in the morning. Stretch backwards and forwards as you would in the Hindu pushup position and HOLD each stretch for at least five seconds in each direction. Slowly increase the time you hold each stretch to 10 seconds, and repeat 10 times. After this, roll over onto your back and slowly “ease” into the bridge (yes, I know, hehe, it’s tougher after the “pounding” you’ve put your digestive system through over the last couple of days, but you’ll get there). Rock back and forth as described in the System, and finish off with a timed hold, both in the back bridge position as well as front. Shoot for a minute, or if that is too much for now, try for 30 seconds or so. After this, go out for a brisk 15-20 minute walk (or if the weather is inclement, jump rope for the same period of time, although believe me, a 5 minute rope jumping session can get far more intense than a 10-15 minute walk!). All this shouldn’t have taken you more than 20-25 minutes tops. Come back home, and pound out 50 pushups, either at once, or in sets. Don’t “dwadle” after your walk – jump straight into the pushups! Finish off again with the back bridge held for time. 30 minutes all in all, and I bet you feel a helluva lot better than if you had spent the same time sinking down into the couch “lamenting” the Turkey Day excesses, hehe. And that’s the way to do it, my friend. We all have our “occasional excesses” – key is to make sure “occasional” doesnt turn into regular gorging – and the other key is balance it all out with the RIGHT form of exercise. In the 0 Excuses Fitness system (newly released, by the way!) I give you plenty more workouts that’ll get the blood pumping and the heart roaring, my friend – or was it the other way around? Either way, it’s just what the ole doc ordered for a “post Thanksgiving” cure, hehe. A lot of us go through life burdened with expectations of “having to fit in”. We are expected to “do it the way others do it”. We are expected to “do what the majority of folks do” – and woe betide anyone who “dares” to take a different route. Woe betide anyone who even dares to – cough – DREAM of doing it differently! And yet – if you look at successful people throughout the ages – they all have several things in common, and one of those things is that THEY DID THINGS DIFFERENTLY! That’s right – they didn’t become “one of the herd” or “follow the masses”. Is that hard? Heck yes it is, especially when you’ve got idiots pestering you constantly to “do it their way”. Huh?? Guess what my friend – the way the majority of people do things is flat out WRONG in many regards – and fitness is no exception. Folks happily fork out big bucks for gym memberships, for instance, which they either never end up using or sign up for fancy “shmancy” yoga classes – again, which end up either remaining unused – and in both cases, fail to achieve their desired results. And then of course it’s back to the ole couch with a huge burp and the “giving up is the easiest thing to do” mentality. Then you’ve got folks that focus upon the bench press exercise as if it is the one and only way to build a huge chest and strong shoulders – and amazingly enough a lot of these same folks have shoulders that are so shot from this one exercise that even putting on their “muscle” T-shirts is a chore at the best of times – and I’m NOT exaggerating, my friend. Well, “Joe Blow and his buddies do it”, so it must be good. Why does “Joe Blow” do it? Well, “Jane Doe and her friends do it”, so it must be the right thing to do. Do you see a pattern developing here, my friend? Now, I’m not “dumping” on those who choose to follow the herd. That’s fine – but when it doesn’t achieve the desired results – then it’s quite obviously something that doesn’t WORK, period. I bet you can – and I’m here to tell you do NOT need to be “one of the herd”, my friend. Dare to dream. Dare to do things differently. Dare to do it the way it WORKS – and then proudly SHOW the world your results – and at that point, guess what – they’ll follow YOUR lead! Dare to do it the 0 EXCUSES way, my friend. You’ll never regret it! Click on over NOW and reserve your copy while the going is GOOD! A feeling of overpowering CONFIDENCE – all day long! How would YOU like to go through life feeling SUPREMELY CONFIDENT – all day long – and live a life free of tension and “worry” about “what will come next”? Financial worries to financial freedom. Health issues to SUPERIOR health – and all the associated benefits – and all that gotten by simple home workouts that have been working for folks for CENTURIES? Not only that – how would you LIKE to be able to not only experience, but CALL upon the feeling of “being able to run through BRICK WALLS at a moment’s notice” and BLAST through ANY AND ALL obstacles standing in your way? I bet you would – I sure DO! Well, there’s several keys to all of this, my friend. And while I can’t describe them ALL in this email, I’ll try and do justice to the TWO major ones – those being 1) your mindset and 2) your health and fitness levels. Believe me when I say it, and trust me later my friend – the MIND is where it all starts (and no I’m not referring to “romps” here, haha, although the mind is applicable in that regard as well – more so than you’d think, hehe). Despite what we’ve been told about life being a “chore” and “tedious”, and despite the constant reminders a lot of ya’ll probably get from friends, family etc about “putting in long hours to succeed” etc – I’m here to tell you it’s a crock, my friend. Not only that – it’s THIS very thinking – or “subliminal programming” (since we hear it from birth, pretty much) that primes most people for FAILURE before they’re even old enough to realize it – and ALL of this usually happens without the person even knowing it – and it happens mentally – and SUBCONSCIOUSLY! Your mind, my friend – is where it all starts – and believe it or not – your IMAGINATION holds the key to EVERYTHING you’ve accomplished thus far in life – and your current “position” in life as well. Yes, I know – that sounds like a claim of stupendous and mind boggling proportions, but it’s true, my friend. ‘Tis all very true – and while other attributes are required in heaping measures, it’s really the mind where it all starts. And I cover all THIS in “Zero to Hero” – my latest publication which is finally up for sale on this site! Personal stories and experiences are what ring true, my friend – and this book (much like the others for that matter) documents my OWN personal stories (well, some of them) – and my OWN struggles from “zero” level to “hero” level – and back to zero – and back again. And if I could do it – so can you. If you’re tired of yo-yo’ing between these two extremes, this book is a MUST READ! 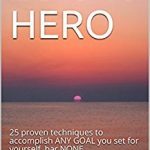 If you’re tired of never getting to “hero” status – despite your “best efforts” – then this book is a MUST READ! And if you’re one amongst the many out there who are content to “remain content with where you are in LIFE right now – but not really”, well – then – this book is for YOU as well! And for those of you that dont believe this – well – I’ll give you a little test. The next time you do something that you’d consider to be normally stressful (for instance, a yearly evaluation at your company – or perhaps an important sales presentation) – don’t think about the actual task at hand right before you “commence” it. No – think about a situation where you were successful in the past. Could be anything – even something as “seemingly unimportant” as “getting that girl to go on a date after months of trying” or perhaps (as in my case) closing sales willy nilly with little apparent effort at one of the companies I once worked for in the past. Could be anything, my friend. We all have a tendency to undervalue our past accomplishments – don’t fall into this trap! Hold that image in your mind – and recapture the FEELINGS you had during that moment as you walk into that “normally” stressful meeting. Picture yourself mentally celebrating – and literally picture yourself AWASH in the same EUPHORIA that you felt back then – and transmute it to the current situation – and if you do this successfully, well, then – ANY and ALL stress should evaporate from your current situation which you should then handle with APLOMB and GUSTO! And CONFIDENCE – and this mindset is the #1 key, my friend, to achieving confidence levels that last all day long. I’ll go into this more in the book – but for now, let’s get to the #2 key – that being a healthy body. There is no way you can separate a healthy body from SUCCESS, my friend – and there is no way you can ever attain true success without REAL health. And by real health I mean internal health as well as “what you can see externally”. Big guns may look good, but they won’t help you “carry the lady up” several flights of stairs to your apartment if your grip is weak, my friend. You can have the biggest legs in the world – but all comes to nought if one of your internal organs fails (and believe me, I’ve seen MANY a bodybuilder with liver issues and kidney problems from steriod abuse). And that’s why I promote training the way I do in 0 Excuses Fitness, my friend. 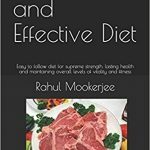 Although the key goals of most people are to lose weight – and believe me, this manual will GET YOU THERE – and FAST – and also to get stronger (again, something that WILL happen – and it’ll be REAL WORLD functional strength), what you’ll really notice is the “confident” feeling you get ALL day long after doing these exercises! You’ll literally be able to “blast through obstacles at a minute’s notice”. You’ll literally develop an “unnatural pull to your grip” (I have, and there is no reason you shouldnt either, my friend). And problems will just melt away when you combine the 0 Excuses Training regimen with the “Zero to Hero” mindset – and the 25 TIPS I give you in the book (each one of them in and as of themselves a GOLDEN tip, my friend). Don’t waste a minute longer, my friend. Take action NOW – and watch your life change before your very EYES. P.S. – Don’t waste a second longer, my friend. Every second “procrastinated” is a second lost towards not just the LIFE of your dreams – but the BODY AS WELL! I woke up this morning at 11:00 A.M. and jumped straight out of bed – right to the ole computer, hehe. Took care of some business issues, and delved into a few others, and before I knew it ’twas around 2:00 P.M. which meant it was time for a bit of a break. Now, I could and have worked for hours at a stretch before when I’m writing books etc (some of which are not published on the 0 Excuses Fitness site, by the way) – and I’ve often made mention of writing 20,000 words at a “go” while I’m “in the zone”. But I don’t generally recommend this for others. For most people, what I’d recommend (and what I do recommend in my soon to be released Zero to Hero book) is 60-90 minutes at a stretch, and then a BREAK – when you do either do something else – or simply “try and zone out” for a while. And believe me, these short breaks can make a WORLD of difference to your productivity. What I did today was something I often do during my “work” (play??) hours – which was to talk a walk outside. And being it’s winter here – the air was CRISP and COLD – without it being too cold if you get my drift. There was a strong wind blowing, and I loved every minute of it – I took every opportunity I got to BREATHE deeply. I focused upon each step, and simply being “connected to the world”, and yet being disconnected, if that makes nature. I should actually say “connected to nature” rather than world. I focused on the blue (well, semi-blue) skies. I focused on my BREATHING. I focused on all the POSITIVES in my life, and as I walked, slowly and steadily, I wasn’t really heading anywhere. I was simply WALKING. An overwhelming feeling of gratitude also came over me while I did this – general gratitude – gratitude for all the GOOD things in my life right now – and believe me, this one tip is something that will help, nay, PROPEL you towards achievement as well in all areas. Being grateful for what we have is something most of us never do. We’re too quick to think of things we don’t have – but what about the things we do have? I’m always amazed at the amount of negative thoughts that folks allow to “reign supreme” in their minds as opposed to other, more productive (in all ways) emotions. Anyway, getting back to the walking – it wasn’t a fitness workout. It wasn’t an attempt to set any world records or lose weight. No, the goal was something far more important – to CLEAR the mind – clear it of those COBWEBS and “stale energy” and a slow walk combined with deep breathing done the right way is the very best way to do this, my friend! Believe me, I was FULLY RECHARGED after about 30 minutes of SLOW walking along with the deep breathing, and this is before my workout, mind you – I can only IMAGINE how I’ll feel later on this evening! Walking is something I highly recommend in 0 Excuses Fitness, by the way – and loyal readers know that I’ve mentioned my own personal – and 100% TRUE story in terms of how I climbed hills every day to lose weight. That’s a fitness related example, of course. Walking can and IS a major league workout when you do it on hills and at the right cadence – and there is so much I could write on this, my friend. So much that I could literally write a new book on “Hill Walking”. But this post isn’t about that, of course – this post is about “clearing the ole noggin”, and so, for most of ya’ll out there – here is what I’d recommend – work for no more than 60-90 minutes at a stretch. As I state in Zero to Hero, when you work – WORK. There are no smartphones allowed – and NO other distractions. Those can wait until you finish your work. Multi-tasking might sound “cool” – but in reality it is anything but, my friend. And then – once you’re done – take a brief walk outside – perhaps 20-30 minutes, and simply focus on the outdoors. Focus on BREATHING – breathing in “positive” things at that – the INHALE, and EXHALE and literally FILL your lungs with each lungful of fresh air as you walk, slowly but surely. You’ll find that this method will immediately calm you down and have an instant ENERGIZING effect on your mind, and you’ll be raring to go when you return to “work” (in my case this blog post). Not only that, you’ll be far less stressed out than you were (if you were) before – and i today’s “harried” world – well – can’t beat that one, can ya? After that, follow up with some squats and pushups, or even some pull-ups if you’re near the local park. You’ll be amazed at how good you feel – and how much this IMPROVES your productivity and overall ENERGY levels during the day! And that’s all there is to it, my friend. Breathe, workout – and do things the way they were MEANT to be done – and you can’t go wrong! P.S. – I mentioned Zero to Hero in the e-mail above – stay tuned – I plan on releasing this tomorrow – ’tis gonna be HUGE! I’ll deviate from the norm today and tell you even more of a personal story than I normally do. It’s intensely personal and emotional, and a mere email – or a blog post CANNOT EVEN BEGIN to do justice to it – but I’ll try anyway. If that is something that interests you then by all means read on – if not, no worries, “senors and senoritas”, hehe – feel free to “click away”! It’s often been said that letting go is one of the hardest things that one can do, period. Letting go of old relationships. Old feelings. “Past” feelings of negativity – and associated “past memories”. And so forth. Amazingly enough, though our conscious mind realizes this is ALL in the past, it still does all it can to HOLD on to these memories – and guess what my friend – this is one major, MAJOR reason for folks not being able to attain whatever goals they set for themselves – not just fitness wise, and but in LIFE in general. Don’t get me wrong – there are other reasons – but THIS is one PRIME reason. I’ll cover more in the soon to be released “Zero to Hero” book (a MUST READ for everyone) – but for now, let me suffice it to say that I recently made the decision (a few weeks ago, to be precise) to cut out TWO people from my life – TWO people that were once EXTREMELY close to me. I’m not going to get into the reason, but again – BOTH these things were the toughest things I’ve ever done in my life, and believe me, there’ve been plenty of tough things I’ve done in my life. The reasons are beyond the scope of this email, but suffice it to say that both decisions were “well thought out” (without me TRYING to think) BEFORE I made the conscious decision – and when I finally made both decisions (one was made 2 weeks before the other), I did so instantly. I didnt dither. I didnt hesitate. I didnt think about “what if”. Et al. No. I just DID IT – and as soon as I made BOTH the decisions – I felt like a huge, huge weight had been lifted off my shoulders in many ways. Not only that, but almost instantly, POSITIVE things started to happen in my life – and though I would hardly term my life as “negative” – I must admit that the “drag” created from these two people was annoying me and creating nothing but negative vibes every time I spoke to them. I speak about the importance of vibes in most, if not ALL my books – and there is a GOOD reason behind that, my friend. Anyway, this has gone on for too long already so I’ll end it here – but the moral of the story is – don’t be scared to cut people out your life IF they add NOTHING to it in terms of positive energy. That’s right – don’t be scared to open up a void – that void will FILL almost instantly a 100 times out of a 100. A million times out of a million. A BILLION times out of a billion! Believe you me, I speak both from what I’ve seen AND FROM PERSONAL EXPERIENCE here! And guess what – despite the negativity created by BOTH these people, the “Zero to Hero” way created positives almost IMMEDIATELY after the negative influence was removed – but only because I let it, of course. That is key as well – there is no “magic” in life. If you don’t let it happen – it never will. Other hand, if you let things happen – and do so the RIGHT way – well – stand back and be AMAZED at how your life flows after that. And how does any of this apply to fitness, you might ask? Well – simple – STOP doing what doesnt work, my friend. Dare to do what has been PROVEN to work despite what the “naysayers” and “gym maniacs” tell you! DARE to EMBRACE the concept that cardio doesnt have to be “long and boring hours spent pounding the treadmill”! DARE to EMBRACE the concept that you CAN get a GREAT workout in with nothing but your own bodyweight – and achieve results far, far superior to ANYTHING you’d get in most commercial gyms. And so forth. DARE – and then DO – and that’s all there is to it. The “temporary void” WILL fill – make NO mistakes about that! You do need to know HOW to do it, of course, but thats covered right HERE … All that is required is a simple movement of your index finger, and it’s YOURS, my friend. Whew, that was a LONG, long one even by my standards. I think I’m going to go pound out some squats now – and do a long, long set at that. Do YOU dread the prospect of going in to work on Monday mornings – after the “relative” peace and quiet of the weekend? Do you dread that 8 A.M. “clock in time” – and of course, the alarm clock ringing sharp at 6:30 A.M., shrill and menacing as a drill sergeant’s whistle? I bet you do – and believe me, there are few things most people hate more than going into work (to a job they hate, or at the very best, “tolerate” for the sake of necessity) on a Monday morning right after the weekend (replete with Sunday night football and a few – or more than a few – brews of choice, hehe). And no, I’m not endorsing the “brews” in any which way – I’m simply stating things and facts for what they are. I think I remember reading someplace that more people drop dead of (a heart attack, I believe) on Monday mornings than ANY other day of the week, and that by itself is quite an alarming (and TELLING) fact. But guess what – it does NOT have to be this way! You do NOT need to spend the rest of your life doing things the way you’ve been doing them thus far – make certain changes in your life – and the rest will FLOW so quickly, my friend, that you’ll be wondering WHERE it was hiding all along. Now, you do need to know HOW to do it – and what PRINCIPLES to apply, and truth be told, I could write several books on this and still not scratch the SURFACE of this topic, so exhaustive is it, and yet – at that same time – so MIND BOGGLINGLY SIMPLE that ANYONE can do it. Yes, you read that right. It matters now what your goals are. It matters not if your rich or poor. It matters not if you are “Ivy League” educated and have several degree or if you never completed high school. NONE of that matters, my friend. The key is to set goals and – this is important – do so the RIGHT WAY – and the right way is something that most people don’t know about. Which brings me to ONE of the points of today’s email – that being that my “Zero to Hero” book is currently slated to be released on November 22 instead of the Nov 25 date I had planned. There are several reasons behind this, but I figured there’s no better way to make “hump day” (NO puns intended, or perhaps they are, hehe) more bearable than put out valuable info that will help you get rid of hump days forever. Stay tuned for this release – it’s gonna be BIG! And until then? Well, there are STILL things you can do – and do right NOW – that will make you feel like a billion bucks, my friend. And one of these being the “15 minute Monday morning workout” that I came up with just for YOU GUYS. 6:30 A.M. wake up “call”. 645 A.M. – 7 A.M. – Workout time. 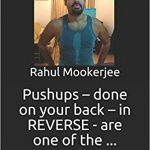 Start off by stretching backwards and forwards in the starting and ending positions of the Hindu pushups. Move back and forth between these positions for 10 times, holding each position for about a minute. Make sure to REALLY, REALLY stretch! Then, do the same thing with the “table” pushups. Focus upon form – and make sure to HOLD the starting and ending position of this pushup for AT LEAST 25-30 seconds (more if you can do it). Then get into the gymnastic bridge, and hold for a minute at the very least. If you’re unable to do this, do the easier version which is the wrestler’s bridge on the floor. The above should take you about 5 minutes. After this, do 10 reps of each exercise mentioned above, but do so slowly. Focus on form, and “feeling” the exercise. Remember you’re trying to FEEL better – and BANISH the Monday morning blues rather than set world records in this workout. Should take you between 5-7 minutes depending upon the condition you’re in, and believe me, this is where most average people “start to feel it” as it were. You start to breathe deeply. You start to pant and sweat a little. Muscles get stretched all over the body in places they’ve never been stretched before. And – long story short – you start to have a GREAT feeling creep all over you – and before you know it – you’re starting to BUZZ the same way I do after my workouts! Finish off with 25-50 regular pushups – and again – these shouldn’t take you more than 5 minutes tops. Do what you can. If you’re stuck at sets of 15, do those. Key is to keep an eye on the clock and NOT dwadle. And that – my friend is that. As you hit the 7:00 A.M. mark and head off to the showers, let me know how you FEEL – not just for the nonce, but for the rest of the DAY. I’ll bet you feel GOOD, my friend. And there is the whole point. Healthy workouts that make you feel good – and work your body in ways they’ve never been worked before – and CATAPULT you along the way to not just your fitness goals – but EVERY goal you set for yourself, my friend. Wouldn’t you want to know how to feel this way all the time? Wouldn’t you want to be FEELING THIS WAY ALL the time?? Wouldn’t you want to be able to recapture that feeling of “a billion bucks” with short, brief and TARGETED workouts that can be done ANYWHERE? Of course you would!! And guess what – it’s YOURS for the taking – but only if you take it RIGHT NOW. The world meets no-one halfway, my friend. ‘Tis a fact of life. If you want something – you gotta go GET IT! And so if you haven’t already – take action NOW. Order your copy of 0 Excuses Fitness RIGHT NOW before you start your day – and be on the outlook for Zero to Hero, coming VERY SOON indeed! P.S. – If you’re “satisfied” with the current status quo of waking up each Monday morning and “dreading the week ahead”, well, then what I’ve said is probably not for you. No problemo, amigo! P.S. #2 – But if you’re one of the rare breed that identifies a problem – and DOES something about it – and I know you ARE if you’re on this list – then you know exactly what to do, my friend. 0 Excuses Fitness – the Book! 0 Excuses Fitness – the Videos – NEW and improved!